It's the best time of the year - the time where we all look at our To Be Read list and say "Yes, I will finish that large pile of books this year." Perhaps you want to read new genres, finish a series, or read a certain number of books. Maybe you're even taking part in the DMPL Reading Challenge (you can still sign up!). Some of our staff shared what their resolutions are this year, and we've posted their responses below. Let us know what your goals are. Find us on Facebook, Twitter, and Instagram. Although, I do read many, many books of many different genres, I probably read just as many magazines in the collection. I am looking forward to the new titles we are subscribing to for next year! It will definitely increase my reading genres within this collection and learn many new things! I want to listen to 12 audiobooks in a year. It can be fiction or non-fiction. I just always want to have a book to listen to in the car. 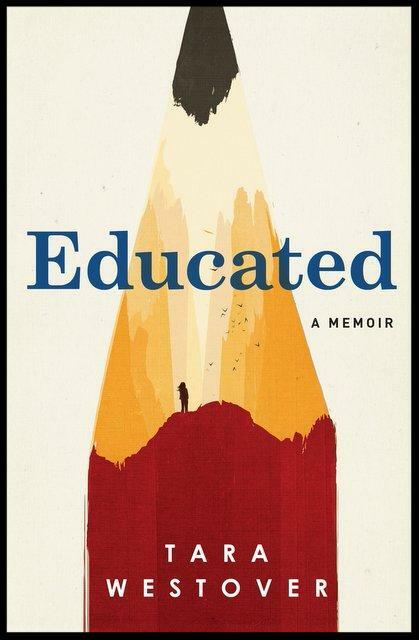 I just finished Educated, by Tara Westover and every time I get in the car I remember how much I enjoyed hearing her story and what was going to happen next. I need another interesting story to listen to. Music just isn't the same. I am hoping to read 100 books in 2019. My goal for next year's reading is to read longer books and book series to help improve my attention span. I read so many picture books, children's books, and graphic novels that a 400-page book seems like Everest to me now. I'm hoping to read 20,000 pages this year, minimum. I'd also like to learn a new vocabulary word from my reading every week! Outside of the library, I’m a volunteer reader in a kindergarten classroom, and one of my resolutions for this year is to get more diverse characters and authors in front of them. I’ve been reading lately about the idea of mirrors and windows – that kids need to see representations of themselves and also benefit from looking into others’ lives – so that’s what I’m hoping to do this year! My toddler is about to transition from board books to picture books and I am so darn excited to be able to read something slightly more complex with her... and by complex, I mean, still rhyming. I am looking forward to getting suggestions from our youth librarians about their favorites. I also want to attend some family evening storytimes. This year I have set the goal to read 85 books, which I track using the Goodreads App. Last year my goal was 52, and my final count was 70. I'm hoping that this higher number will challenge me and keep my attention on reading through the year! Along with reading regular print books, my goal for 2019 is to listen to at least 100 audiobooks. I would like to read more books that spark my creative passions. More cooking, more art, more craft and more memoirs that move me to try new adventures in making.